Stuff Matters (2013) is an adventure into the seemingly humdrum stuff we encounter daily. 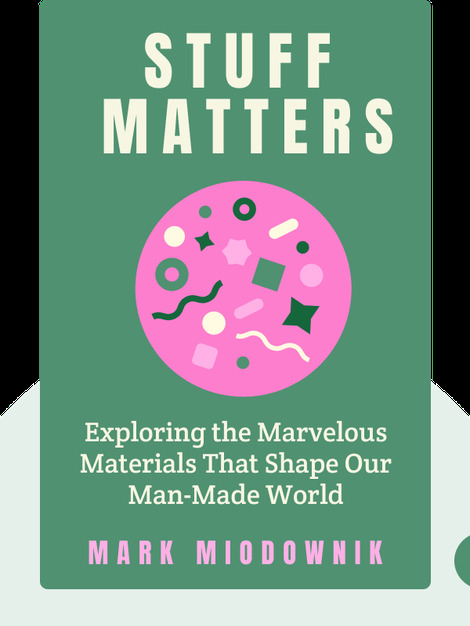 Materials scientist Mark Miodownik delves into the true makeup of modern materials, and invites you to look at your surrounding world through new eyes. 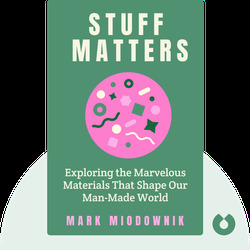 Mark Miodownik is a professor of materials and society at University College London, where he also works as the director of the Institute of Making – home to a library containing some of the rarest materials on Earth. He won the 2014 Royal Society Winton Prize for Science Books for Stuff Matters, and he’s been invited to give the Royal Institution Christmas Lectures.